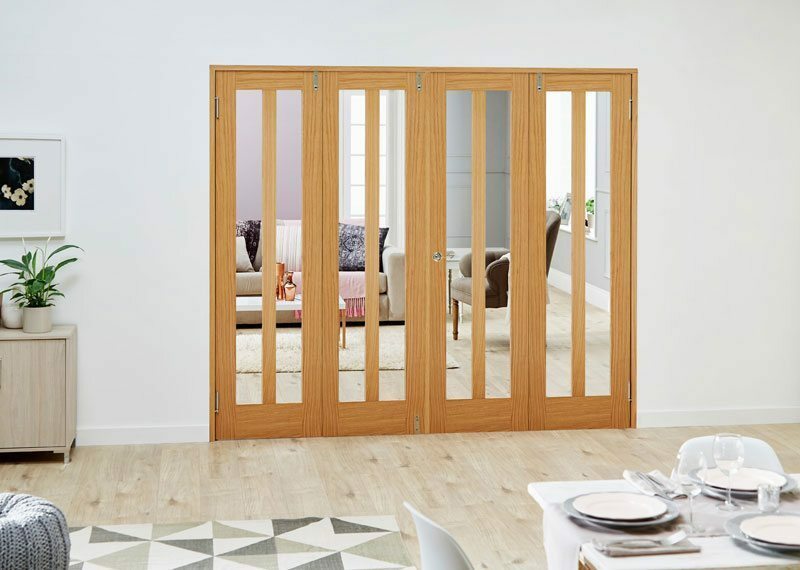 Our new Frenchfold room divider offer a traditional central 2 door opening however the set comes with a modern twist where they can also be folded back to open the space right out. 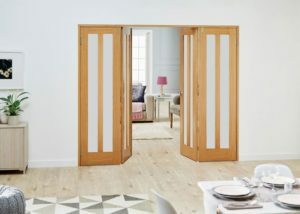 With the beautiful Aston glazed doors available in 3 or 4 doorsets using 610mm or 686mm door widths and overall dimensions from 1914mm to 2826mm wide, we are sure you will find a set to suit you. These sets come with a universal frame, pivots, hinges, brushed stainless steel drop bolts. 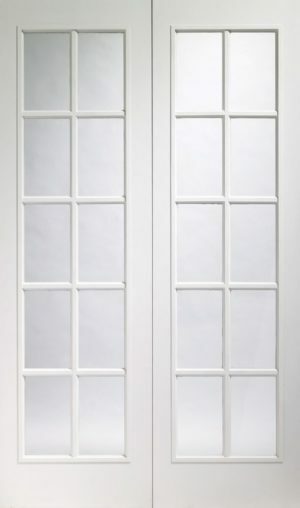 Doors are pre glazed. 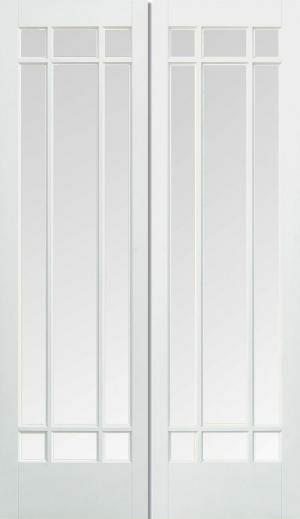 We do not supply the doorset with handles or latch to allow you to match the existing ironmongery in your room. 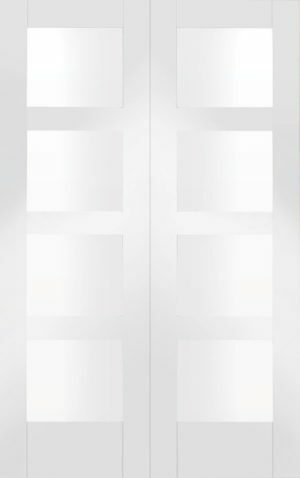 As these doors are unfinished we recommend you finished them before hanging. 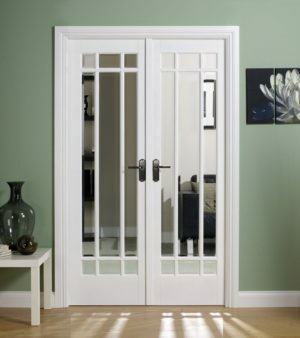 These sets are standard joinery products, so can be adjusted in both height and width. The height can be reduced by up to 10mm, and the width can be reduced by 30-40mm.